Fast Setting Fuser, not a glue! 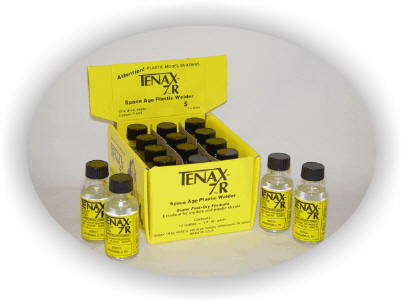 1 Bottle of Tenax 7-R, 1 Pkg. Fine Micro Brushes, 1 Pkg. Superfine Micro Brushes, 1 Easy Fill Bottle, 1 Touch-N-flow Applicator, and Instructions for use. 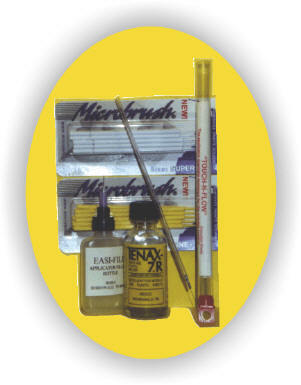 The proper tools for professional model construction!